Born in Seattle on July 6, 1891, J. Lister Holmes was one of a handful of Northwest architects who successfully crossed from the Beaux-Arts design tradition to the Modern style. After receiving a civil engineering degree from the University of Washington in 1911, Holmes transferred to the University of Pennsylvania where he earned a graduate degree in architecture in 1913. After graduating, Holmes worked his way back through Philadelphia, New York, and Montana, eventually returning to his hometown of Seattle in 1916. He worked briefly as a draftsman with E.F. Champney, and then as an architect with several leading Seattle firms, including Carl Gould, B. Marcus Priteca, Daniel Huntington, and the firm of Schack, Young and Myers before establishing his own firm in 1922. Holmes' early practice focused on commercial buildings, small hotels and apartment blocks, and single-family residences. Due to his Beaux-Arts education, he was able to develop a reputation for quality residential architecture and became one of the more versatile architects in the Seattle area, with styles ranging from Spanish Colonial Revival to eighteenth-century French idioms. In the early the 1930s, Holmes adapted to shifting architectural interests and began to incorporate the International Style into his own designs. Among his more notable projects are the Seattle Weiner Dental Clinic (1936), the Arnold Dessau House (1939) in the Highlands, and the Washington State Pavilion for the 1939 New York World's Fair. In 1940, he was asked by the Seattle Housing Authority to serve as its chief architect in the planning and design of several large-scale housing projects including Yesler Terrace (1940 - 1943), Gatewood Heights (1941 - 1943) and Seward Park (1941 - 1943). After the war, Holmes tackled a variety of projects including the Seattle Public Schools Administration Building (1946 - 1948), the Ida Culver House (1948 –1949), the Seattle Goodwill Industries (1948), Seattle Public Schools Administrative and Service Center (1951), Catherine Blaine Junior High School (1952), and the Ancient Order of United Workmen Building (1952). Holmes's professional interests also included planning. He served on the Seattle Planning Commission for eight years, and was its chair from 1948 - 1950. 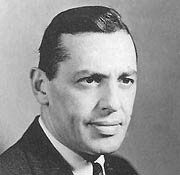 He also served on the national board of the American Society of Planning Officials from 1948 - 1951. His career in planning culminated as he was hired for his largest planning effort—the Fort Lewis Peacetime Development Master Plan (1950 - 1952), which included a retail shopping center, troop and officer housing, and religious and recreational facilities. In 1955, Holmes was elected a Fellow of the American Institute of Architects (FAIA). By the mid 1960s, his career was beginning to wind down. His last major works included the designs for a string of UPS distribution buildings on the West Coast, including Seattle, Pasadena and San Diego. Holmes spent the remainder of his life in retirement in Seattle until his death, at the age of 95, on July 18, 1986.